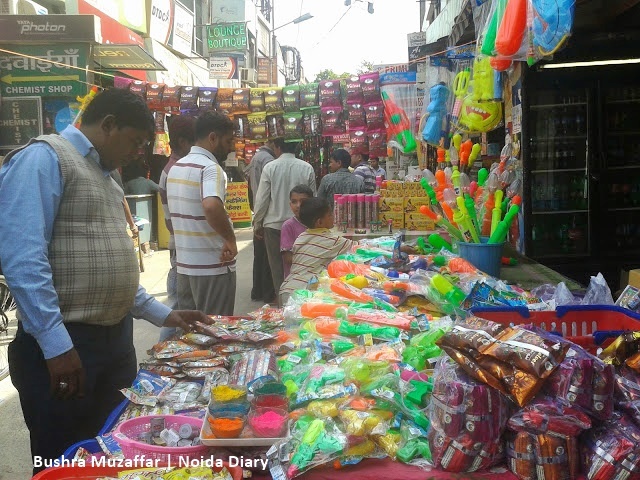 Holi Shopping in Noida - Noida Diary - Rediscover Noida With Us! Holi is round the corner and it is time for some festive shopping. Find the perfect shopping destinations for your Holi shopping in Noida. Read the guide on where to buy your pichkari and gulal this Holi. 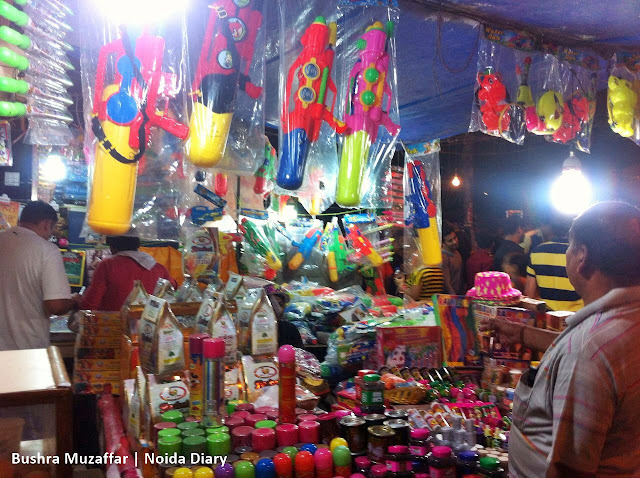 Pichkari (Spray-guns), gulal (Powdered color), scented gulal, herbal gulal, Sandal packs, water balloons, rainbow caps and colored masks. The Chinese water guns have flooded the markets. Priced from Rs 20 to Rs1500 these come in various shapes and colors. Pichkaris shaped as guns and tanks are most sought by the kids. The water guns with popular cartoon characters like Chhota Bheem, Angry bird and Doraemon are priced higher. No decent pichkari is available below Rs150. The regular gulal is for Rs20 while the scented one is for Rs30 and box of sandal paste is Rs50 a piece. Colorful caps and masks are also much in demand. You would also find moulds to make gujia, a traditional Indian sweet made on Holi, priced at Rs 20. Have a great time shopping for Holi! So vibrant.. and full of colors! I don't live in Noida but I work here so am slowly becoming interested in what is available and what is happening. 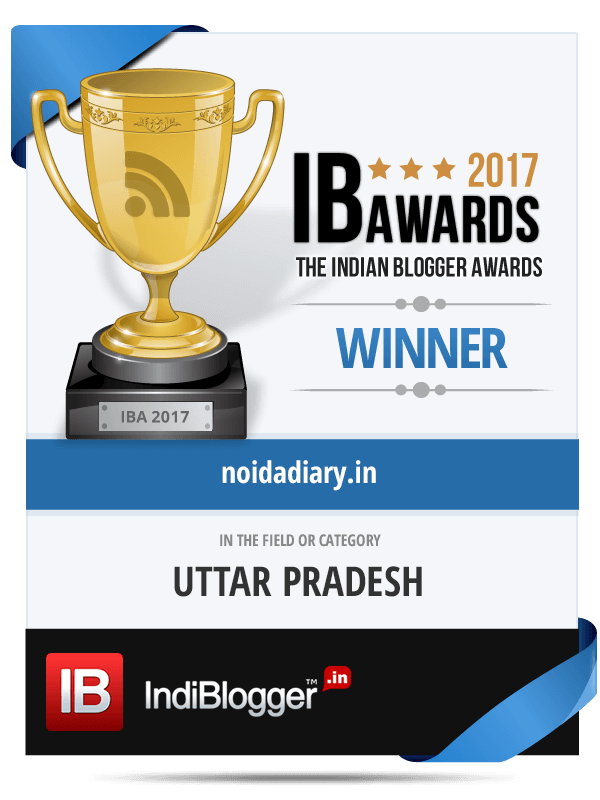 Are there any organic food outlets in Noida Bushra? Holi shopping is always fun, more so for kids! Holi shopping is always a fun specially for children. Hope you had a colorful one! Kalpanaa, there's The Green Leaf in Sector 53, Organica in Sector 65 others are portal based online services. PS.April has been quite a busy month..apologies forthe delay in responding. I understand, Archana. I have relatives in States who feel the same way during festivities. Glad to know this 🙂 Thanks for your kind words! Hope you had a great Holi. Your post is evergreen through the years ? I have to shop in Delhi some day! We played dry holI. My daughter was excited and played with color and balloons. Nice post.